Should You Mediate Or Litigate Your High Net Worth Divorce? You are thinking of getting divorced and you and your spouse are considered high net worth individuals, should you mediate or litigate your divorce? Although mediation is often more attractive than litigation due to the fact that it can save a lot of time, emotional energy and of course, money, it also requires a semi-functional relationship between the spouses in order to even be able to mediate. In addition, most high net worth divorces often are riddled with complicated assets, which are very difficult to solve in mediation. Because of how much money is often at stake, each party wants to come away with the greatest amount, and limit the number of assets that are divided. However, regardless of whether you are the high net worth party or the spouse, there is legal entitlement on both sides to all marital assets. Maintaining the lived lifestyle prior to divorce will also be considered. Mediation, even if it doesn’t result in a final divorce settlement and judgment, it can at least get you a legal separation, and moreover, it isn’t as emotionally taxing as litigation and keeps more of the decision-making power between the parties as opposed to litigating in court. Ultimately, litigating is the more sensible option when the marriage has gotten to such an irreconcilable place that working together in mediation is unlikely to result in positive results if any. Also, consider the complexity of the assets, and if they can be decided fairly and accurately in mediation. 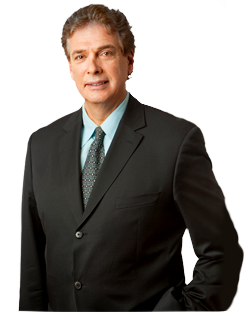 If you need a divorce attorney who has the experience in handling high net worth divorces, call 212-826-9900 to set up an appointment with Paul E Rudder, Esq., a top-rated divorce attorney in NYC. Call today!